Sure, it can be a tradeoff. So we start by coaching you to consider your most important goal, and learning which strategy will give you the most confidence to move ahead. • For some owners, they want to move up their purchase by a year or two. • Others want to have monthly costs that are affordable. • All owners want to CONFIDENTLY lower their tax and registration costs, and it all comes together to accelerate your net worth when you plan your business professionally from the start. We believe in quickly getting to the heart of the matter for each of our diverse customers. For example, 180 Marine will introduce you to a CPA or professional advisor with no motivation to sell you a boat. "Most boat owners miss out on some valuable deductions because they don’t know what specific situations will help them. Anyone who doesn’t take full advantage of the tax laws is simply giving money away. It is illegal, of course, to avoid taxes. It’s perfectly legitimate, however, to minimize your taxes". Probably the most commonly misunderstood tax deduction is the write-off of interest paid for a second home which, in this case, is any boat that can be lived aboard. Have you run a business before? Are you prepared for simple record-keeping? You'll be well-prepared to take their advice to turn a normally depreciating boat into a valuable business, one that can be profitable, or simply offset typical operating expenses. Because every tax situation is unique, we advise that every boater explore his options with a tax advisor familiar with boating deductions before making decisions. 2. "I KNOW WHERE I WANT TO BE...CAN YOU SUPPORT ME, EVEN IF I CHANGE MY MIND?" When working with the Seawind global dealer and charter network, we offer tremendous flexibility from Canada to the Caribbean and beyond. Consider charter locations that are practical and exciting for you... including Martha's Vineyard, Rhode Island, Annapolis, Florida, the Bahamas, or the Virgin Islands. Many customers are looking at newer charter destinations in Central America and Mexico this year. It's simple...the location often provides the motivation to be successful. 3. "DO YOU HAVE A STRONG BUSINESS NETWORK TO SUPPORT ME?" 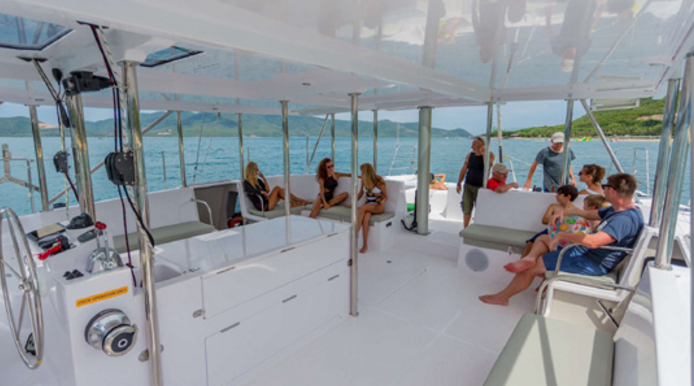 180 Marine offers an experienced network of financial advisors, charter operators and other Seawind dealers to help you decide if you are well prepared for a successful experience. They are ready to help, which will make the MOST of your time on the water. We offer the most competitive pricing, and many choices of worldwide charter business locations. We're not locked into a single physical location, so you can plan for a business in the U.S., Caribbean, Central America. Even in the Pacific with destinations in Australia or even Thailand or Malaysia. 4. "ARE INDEPENDENT EXPERTS AVAILABLE TO COACH MY PLANNING?" Before you sign, we believe that an independent advisor should meet with you to confirm that your expectations are sound. After receiving a quote from 180 Marine, we can schedule a CPA referral meeting where you confirm your overall plan with a completely independent advisor — she works for you, clarifying financial and tax planning, to be sure there are no surprises in the future. You'll feel better, even deciding NOT to run your boat as a business, when you have experienced this professional advice up front. 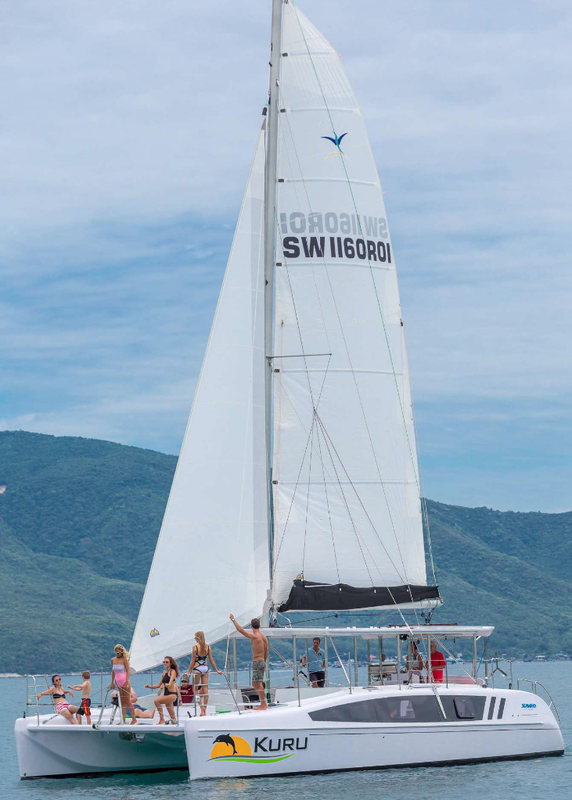 Consider these Seawind models that would be an especially great choice for YOUR business model.